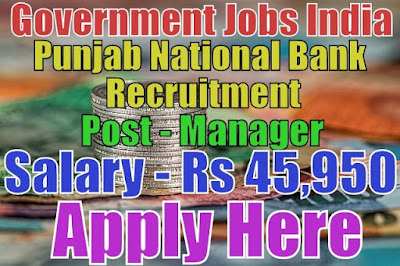 Punjab National Bank recruitment 2017 notification for 45 managers (security) posts. All legible and interested candidates can apply on or before (06-05-2017). Further information about salary details, application fee, educational qualifications and all other details/information about this post is mentioned in detailed below. The total number of vacancies are 45. Salary/Pay and Grade Pay - For manager (security) post, the payable salary will be Rs 31,705 - 45,950 besides other allowances like DA, HRA etc as per bank rules. Further information about salary details is mentioned in the detailed advertisement. Age Limit - For Punjab National Bank recruitment, candidate age should be 21 - 35 years. To know more about age details click on the detailed advertisement. Selection Method - For recruitment in PNB, the candidate will be selected on the basis of their performance in personal discussion, short listing and then personal interview. Candidates must be prepared for these tests. Work Experience - Candidates must be an officer with 5 years commissioned service in Indian Army/Navy/Air Force or a gazetted police/paramilitary/central police organization's officer not below the rank of assistant commandant with minimum 05 years of service in the grade pay of Rs 5,400 and above. Candidates must have some experience for this recruitment. How to Apply - All legible and interested candidates have to download an application form from official website https://www.pnbindia.in/ or from the given link below. The Candidates have to take a printout of application form. Candidates also need to download the cash voucher. The same by duly filled up and presented at the Branch, along with the application fee/intimation charges. Now candidates must fill the application form and send the application form along with the copy of cash deposit voucher and all needed/relevant/ required testimonials(which is mentioned in detailed advertisement) superscribing the envelope "Application for the post of 'Name of Post' " to the given desired address. Application Fee - The application fee will be Rs 300 for General / OBC candidates and Rs 50 for SC/ST candidates. Person with disabilities are not required to pay any application fee. 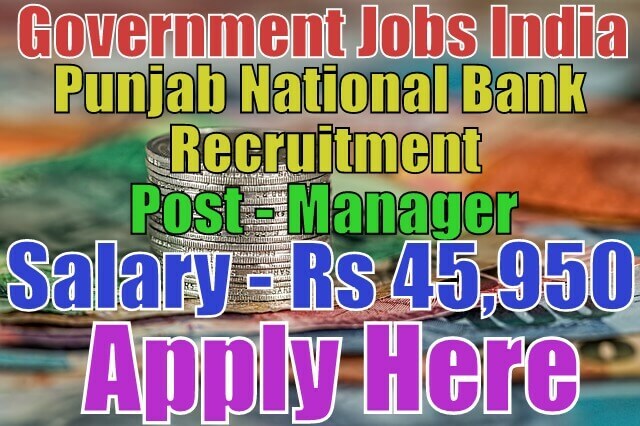 Regular employees of Punjab National Bank applying for the higher position are also not required to pay any application fee. Punjab National Bank is going to release pnb recruitment 2017 notification on the official website.